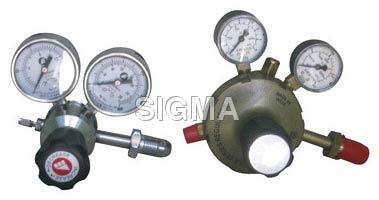 A prominent name in the chemical industry, we have proved our metal by bringing forth Calibration Gas Regulator. We as standard Calibration Gas Regulator Supplier, make available Double Stage Gas Regulator, High-Pressure Gas Regulator, Brass Body Gas Regulator and Stainless Steel Body Gas Regulators. These Calibration Gas Regulators are tested by experts to ensure compact make, tight-sealing, hassle-free operation and low maintenance. We can make available the Calibration Gas Regulators in bulk, exactly as per the clients’ requirement.